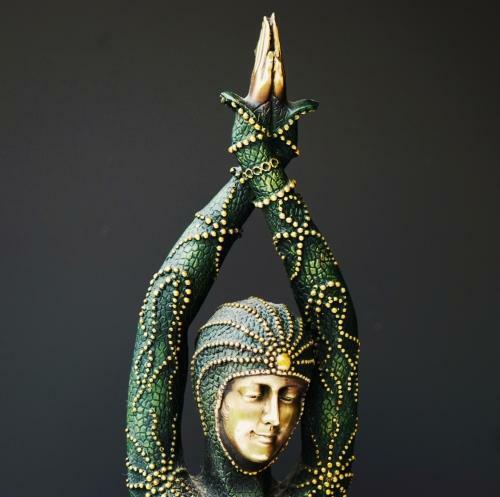 A highly decorative excellent quality reproduction figure of 'Starfish Dancer', the original by Demetre Chiparus. The body has textured skin with green patination and has bronze starfish decorating her body. This impressive figure is depicted dancing and stands on a circular green marble base.